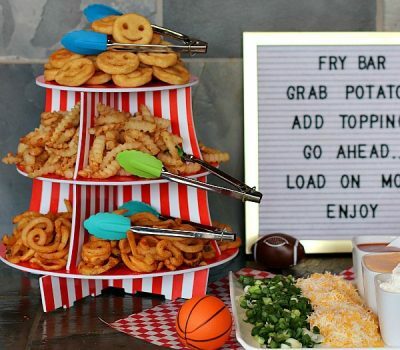 In my home, any reason to whip up delicious food and a have a little fun is a reason for us to celebrate. Both of my boys are really into trying new cuisines and so it only makes sense that I’m always on the lookout for occasions where we can mix things up a little bit and learn about new cultures, not only through food but through crafts and research. February is one of my favorite times of the year to get creative in the kitchen because of the occurrence of Chinese New Year. Now, for those of you who didn’t know, Chinese New Year is a Chinese festival that celebrates the beginning of a new year on the traditional Chinese calendar. Often referred to as the Spring Festival in modern China, it’s a time to come together with family and plan for the New Year. Inspired by the delicious dishes, fun festivities and bright colors of traditional Chinese New Year celebrations, I decided to come up with my own easy ways to celebrate Chinese New Year and share them with all of you. For me, holidays that we don’t necessarily celebrate regularly are a great opportunity to teach my children about other culture. While both my boys love Chinese food and can’t get enough of playing with chopsticks, I decided it was high time to find some fun ways to really teach them what the Chinese New Year celebration is all about. 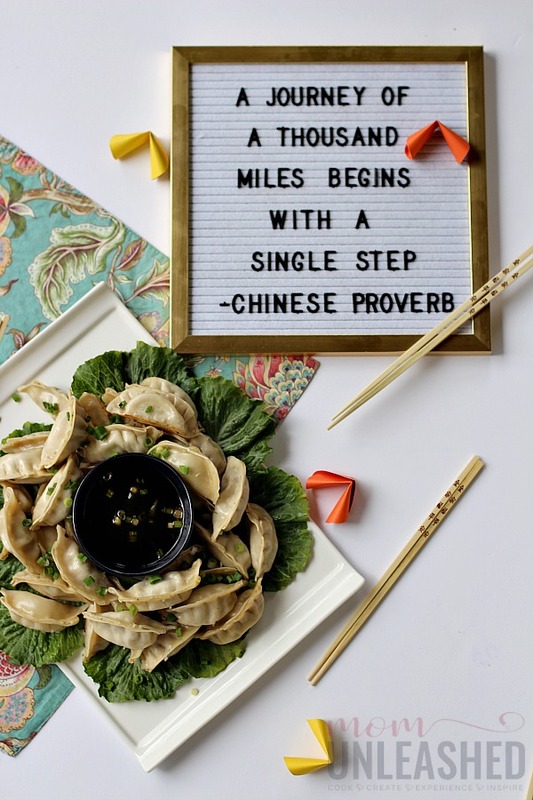 To do this, I decided to create a simply yet delicious dish that would possibly be served at a traditional Chinese New Year celebration, put together a fun craft idea that would help us learn more about the Chinese culture and share some traditional Chinese proverbs. This afternoon of cultural learning and fun was a perfect way to bring the celebration of the Chinese New Year into my home. Here’s how I did it. While my first inclination when we got ready to celebrate the Chinese New Year was to call in take-out, I decided that with a little help from Ling Ling Asian Kitchen I could whip up my own Chinese New Year feast. 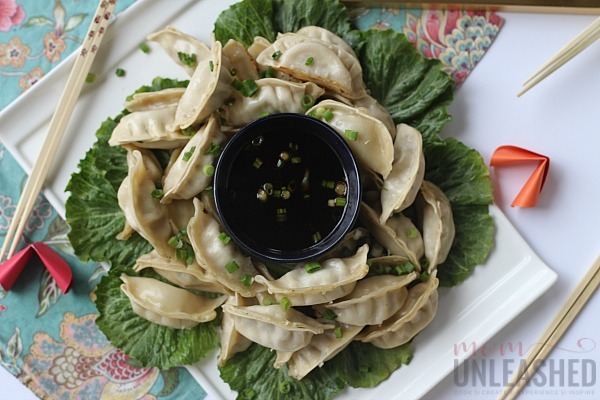 While I’ve used many Ling Ling products in the past because of their authentic Asian recipes and easy to create dishes, as soon as I saw the Ling Ling Potstickers in my grocery store I knew I had stumbled on the perfect dish. Available in chicken and vegetable, pork and vegetable and vegetable varieties, these easy-to-cook potstickers are made from high quality, clean ingredients like freshly sourced vegetables and savory proteins to create authentic Asian recipes that are bursting with flavor. 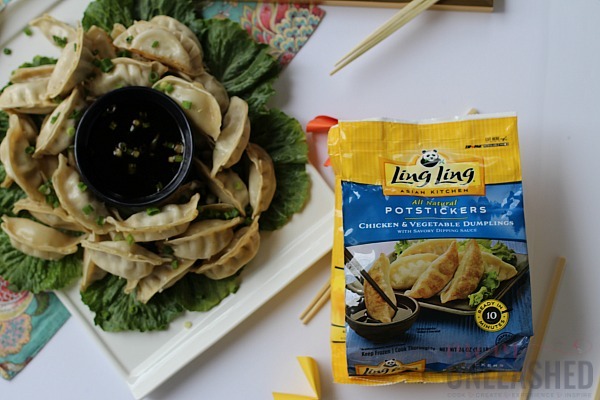 Each bag of Ling Ling Potstickers comes with perfectly pre-made potstickers that are easy to cook up with no expertise required as well as Ling Ling delicious signature dipping sauce. Creating the perfect Chinese New Year feast was simple with this delicious addition because all I had to do was grab my favorite variety (for us that happens to be chicken and vegetable) and follow the easy cooking instructions on the back of the bag. 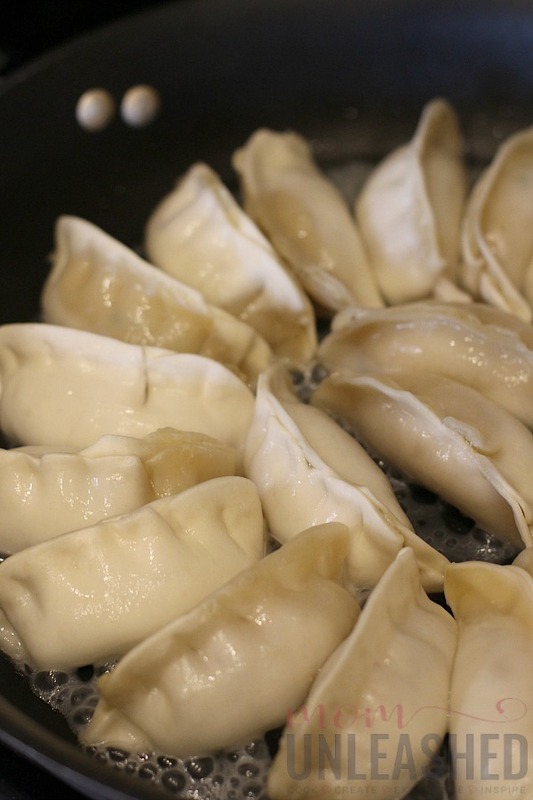 After arranging my potstickers in my my oiled pan, I simply poured water over the top and cooked my potstickers by following the simple steps provided. In just ten short minutes, I had perfectly cooked potstickers that were brown on the bottom and perfectly cooked for my Chinese New Year celebration. After adding some lettuce to a serving tray and pouring the provided Ling Ling dipping sauce into a dish, I arranged my Ling Ling Potstickers on my platter, sprinkled a little green onions over the top and sat back to look at my authentic Asian dish that had been so easy to make and was quite impressive if I do say so myself! 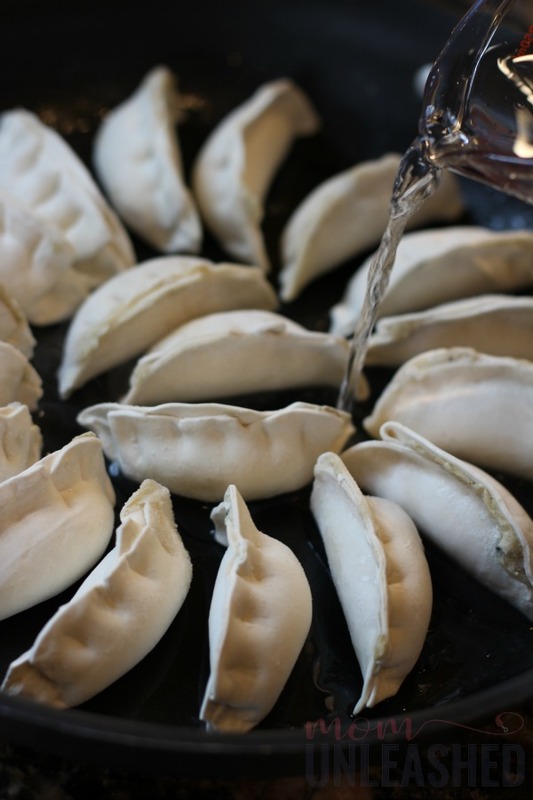 Once I had my Ling Ling Potstickers ready to serve as the star of my Chinese New Year celebration, I moved on to the next step in my well thought-out plan. 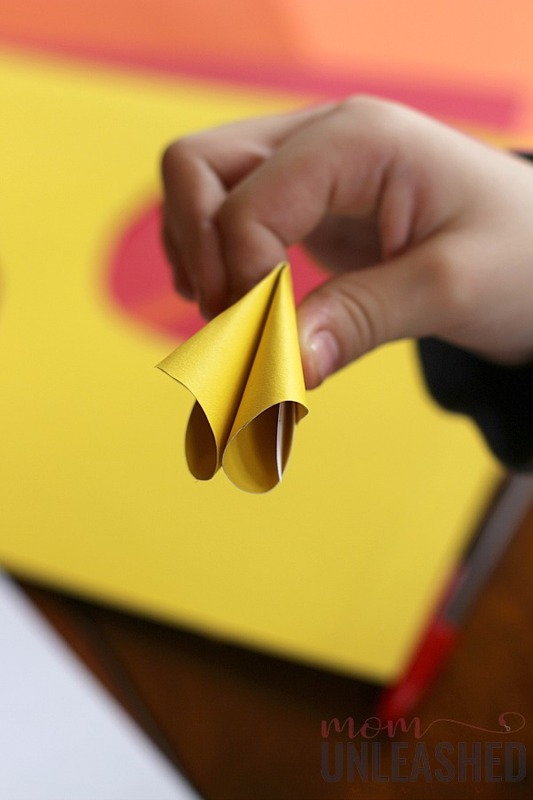 Inspired by what I myself had learned about Chinese New Year while preparing my Ling Ling Potstickers, I grabbed some paper stock, a pair of scissors and a cup and called my youngest into the kitchen to make some easy paper fortune cookies. 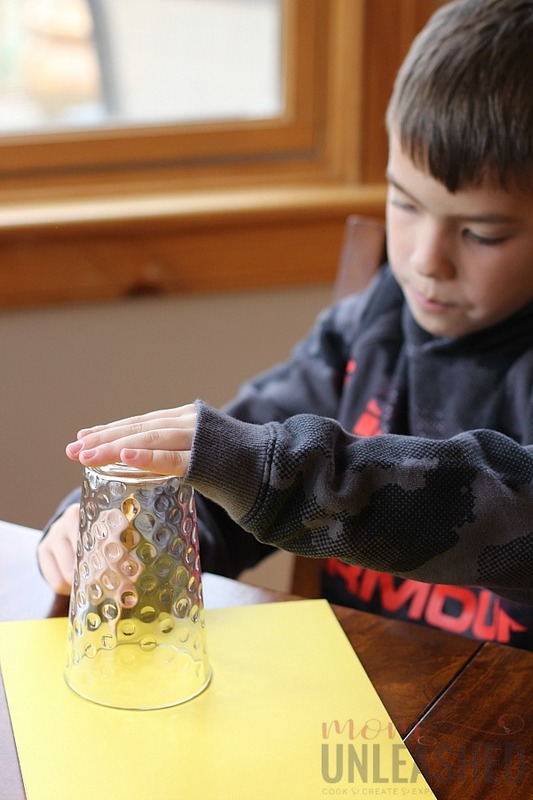 To start our fun craft, I had him trace the cup on our paper stock and cut out the circles. 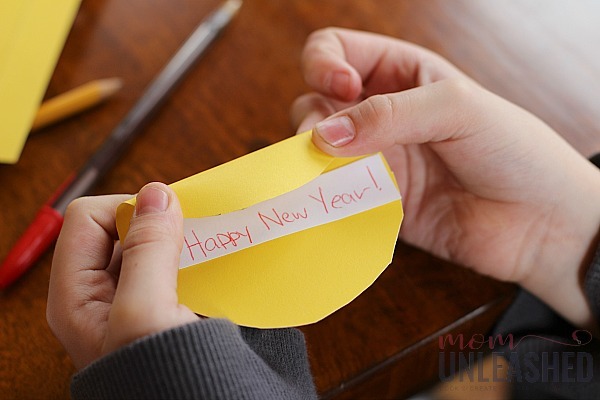 Next, we cut some small white pieces of paper out and wrote words related to the Chinese New Year on them. At first, we started out with simple things like Happy New Year. However, as we worked through making our paper fortune cookies, we began to talk about Chinese proverbs and how while they could at first be confusing, they had meanings that taught lessons behind them. 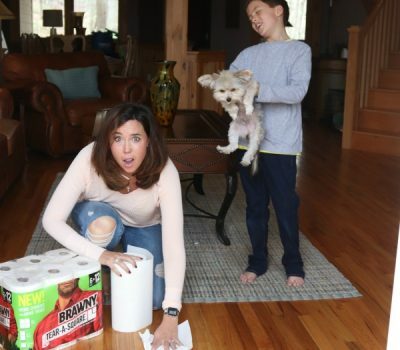 My little guy started to come up with his own proverbs that were silly and at first confusing but that quickly began to make sense as he explained them. While we folded our own paper fortune cookies, he explained why his funny sayings were full of meaning and we talked about how the Chinese proverbs had perhaps come about in this same unique way. While we were talking, he placed his written words i the middle of each of his cut out circles and folded both sides over, squeezing the sides to crease them. Then he folded his paper fortune cookies in half, bringing the long outer ends together to make a paper version of a fortune cookie that had his take on Chinese proverbs inside. After we finished making his paper fortune cookies, we paired them with our Ling Ling Potstickers and a few decorations to bring our Chinese New Year celebration together. Truthfully, we had so much fun whipping up our easy Ling Ling Potstickers and making our paper fortune cookies that we already felt like our Chinese New Year celebration was in full swing but we decided to really capture the feel of a traditional Chinese New Year by laying out our Ling Ling Potstickers and paper fortune cookies and then adding some additional elements like chop sticks and a letter board with a Chinese Proverb. With all of the elements of our Chinese New Year celebration in place, we called the rest of the family in to join in the festivities. As the family joined around the table, we shared what we had learned about the Chinese New Year as everyone enjoyed our traditional potstickers that had been made so simple with help from Ling Ling. As we talked about how the Chinese New Year is a time for fresh starts and fresh ideas, everyone dipped and noshed and enjoyed the fact that we had such a delicious way to make our Chinese New Year celebration truly fantastic. And at the end of it all? Not only were we all completely satisfied with our delicious Chinese New Year meal but we had also learned in a fun way that had up promising that in years to come, we will celebrate Chinese New Year this exact same way. Whether you’ve ever celebrated Chinese New Year or not, make this year’s celebration delicious and fun in an amazing way with help from Ling Ling Asian Kitchen! 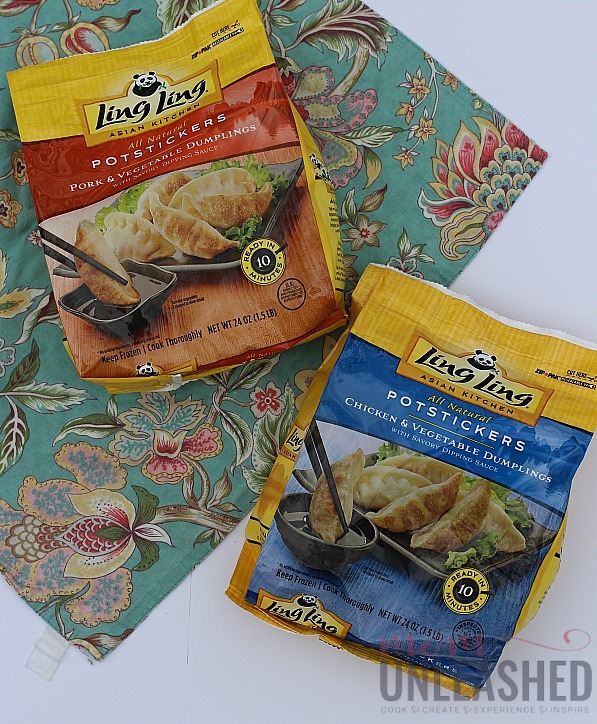 To get started, pick up Ling Ling Potstickers at a store new you today. Then whip them up to pair with a fun craft, a unique proverb or your own ideas for making your Chinese New Year celebration unforgettable. 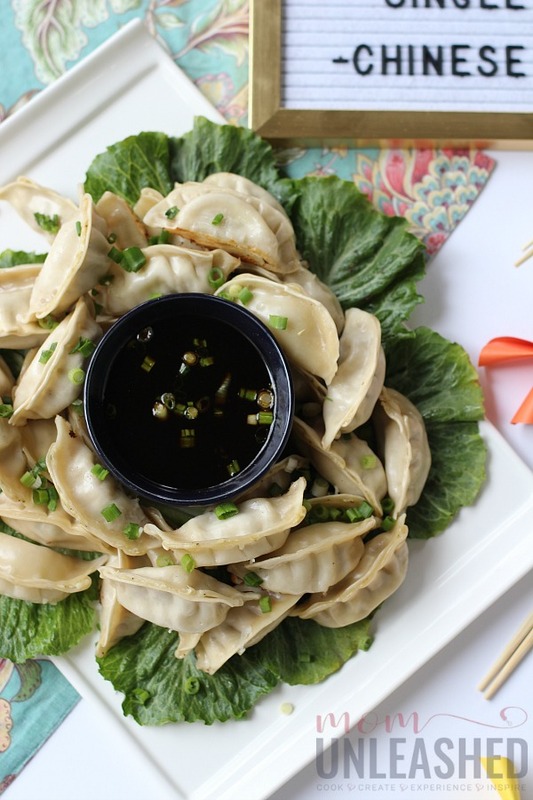 Available in Chicken and Vegetable, Pork and Chicken and Vegetable varieties, I can promise you that if your family is like mine, these Ling Ling Potstickers will be the start of your Chinese New Year celebration! Now tell me, do you celebrate Chinese New Year in your home? If so, how? We don’t normally celebrate but I will make those wraps and give them a try. Sure the family would enjoy eating them. 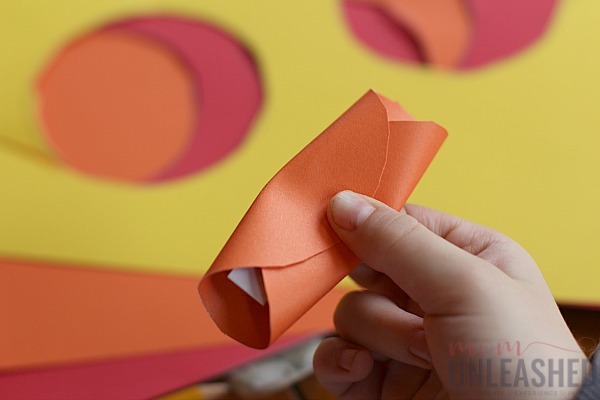 What a cute craft idea to celebrate the Chinese New Year. Those potstickers look so good and now I’m craving them. I’ll have to add those potstickers to my grocery list. 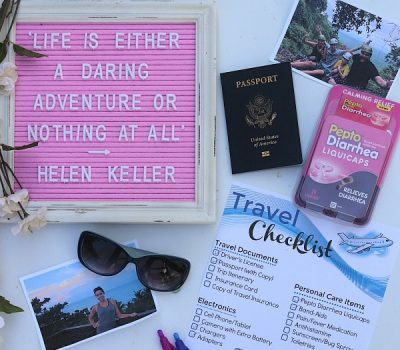 This is a fun idea! We don’t know much about the Chinese New Year, so it’s a great way to learn more. We do enjoy Ling Ling foods. I make them for dinner! I have friends back home who celebrate Chinese New Year big time. My family doesn’t celebrate it, but we always look forward to watching the fireworks display. I love the idea of celebrating the Chinese New Year, even if you’re not Chinese. Indulging in the food of other cultures is fantastic. 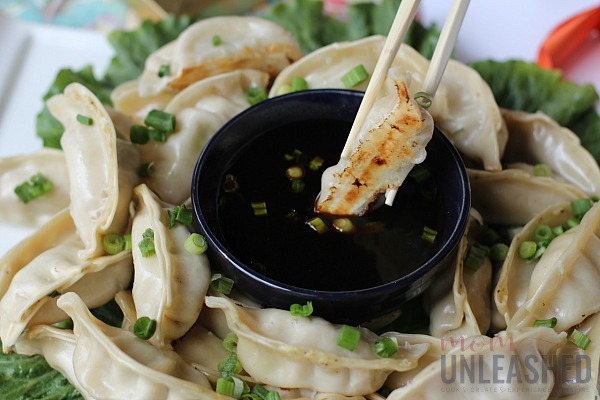 These pot stickers look absolutely yummy! Those dumplings look so good and I know why we stopped getting them, we liked them too much. It is a great way to learn about a chinese custom and we all love the food. 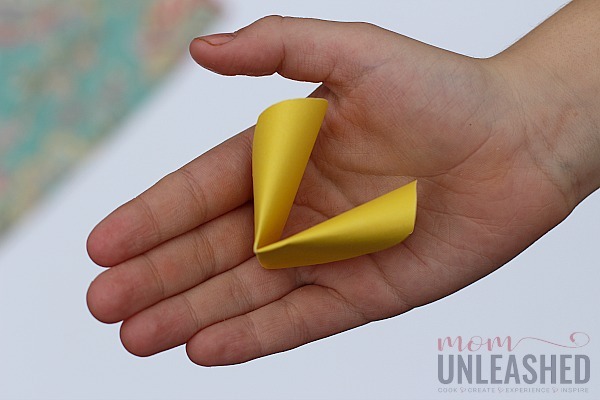 Now these sound like some really fun ways to help celebrate the Chinese New Year! I really want to try those potstickers now they sound like an interesting dish! 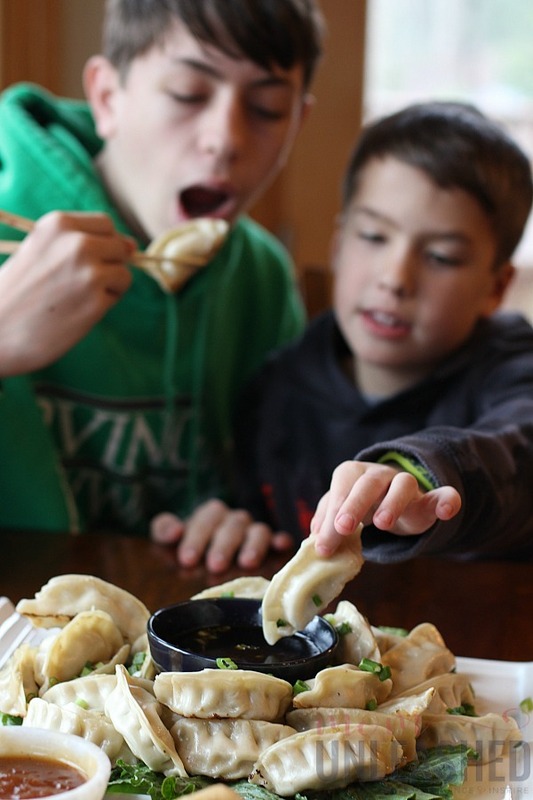 My son loves potstickers and has been known to eat an entire dozen from our local takeout spot on his own. 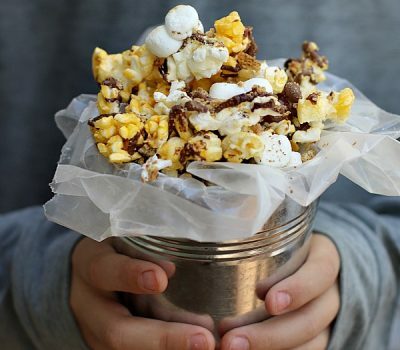 I look forward to trying these easy to make, at home versions soon! Looking forward to giving these a try. I love Ling Ling products. Love the craft idea as well. Ohhh I love this!! We are big fans of Chinese and I love the idea of joining in the celebrations! My kids would really enjoy that too! Those potstickers look very tasty and easy to prepare. It sounds like you and your son had a lot of quality time making your preparations for the Chinese New Year celebration. 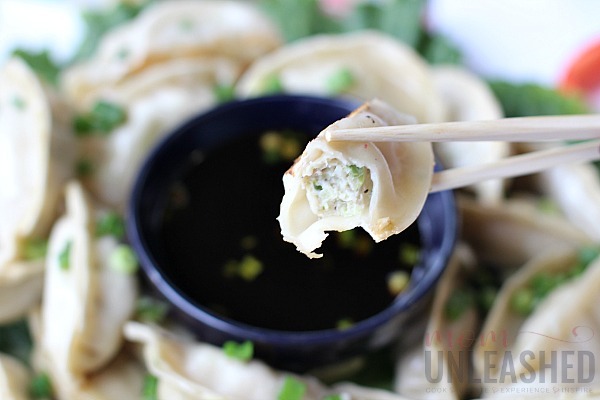 I love everything about this post, that cute, cute craft and the pot stickers. I haven’t made a sauce for them before, so I am trying your recipe. 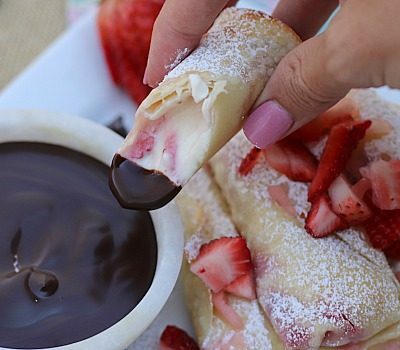 Every bite looks absolutely delicious!!! 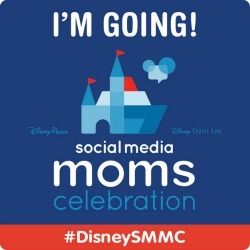 Such a great way to celebrate! If my kids could eat these daily, they would. They absolutely love them! Such a fun way to celebrate Chinese New Year! 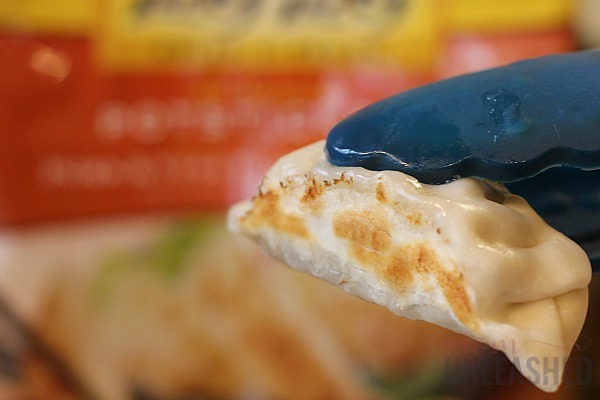 I love little finger foods and will look for these. These are easy and cool ways to celebrate Chinese New Year! I will make my favorite Chinese dish, too! I love Ling Ling. 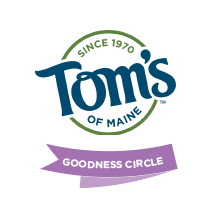 Their potstickers are amazingly delicious. 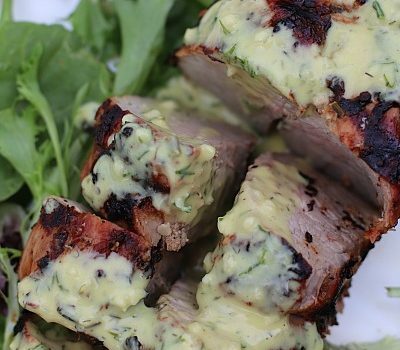 Great app to serve anytime. Those pot stickers looks delicious great with that sauce. 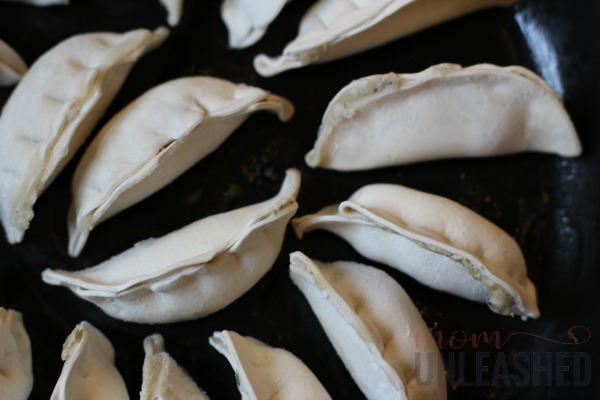 I love these easy to use frozen pot stickers. I love those crafts too.